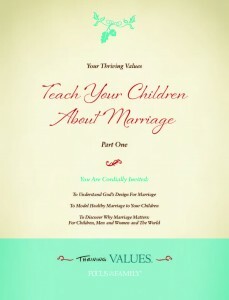 Our Friends at the Thriving Values Team at Focus on the Family have put together some excellent, free resources you and your family can utilize. 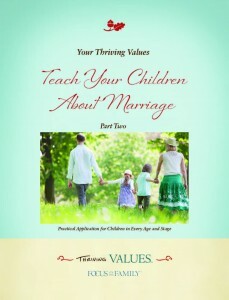 Click below to view and download them. 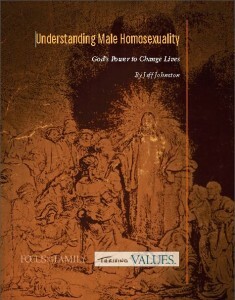 Understanding Male Homosexuality: God’s Power to Change Lives, by Jeff Johnston. What Does the Bible Say About Homosexuality? 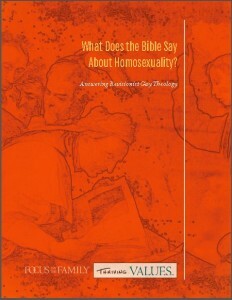 Answering Revisionist Gay Theology. 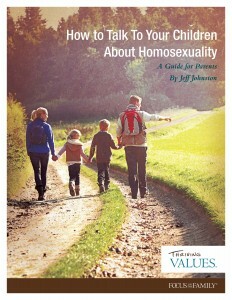 How to Talk to Your Kids About Homosexuality, by Jeff Johnston. 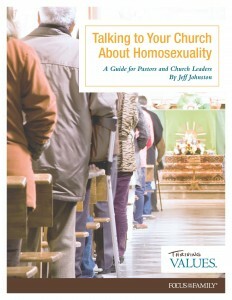 Talking to Your Church About Homosexuality: A Guide for Pastors and Church Leaders, by Jeff Johnston. How Should We Respond? 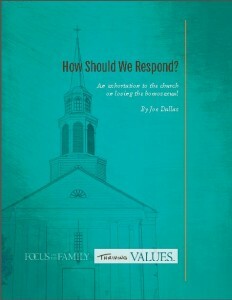 An Exhortation to the Church on Loving the Homosexual, by Joe Dallas. 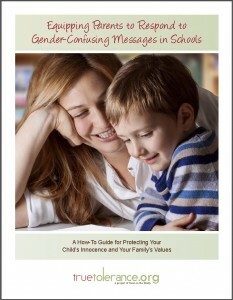 Equipping Parents to Respond to Gender-Confusing Messages in Schools, by TrueTolerance.org. 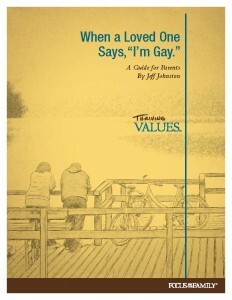 When a Loved One Says, “I’m Gay.” A Guide for Parents, by Jeff Johnston. 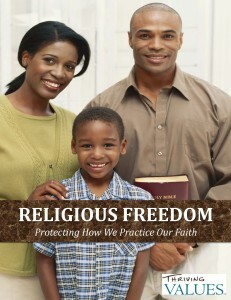 Religious Freedom: Protecting How We Practice Our Faith. Marijuana for Recreation? Not So Fast. Separating fact from fiction on marijuana legalization.